There is a perceptible buzz emanating from The Church of the Holy Spirit these days—some may even call it harmony—as they welcome their 12th rector Luke Back to Lake Forest. The Church of the Holy Spirit is an Episcopal parish in Lake Forest that was founded in 1902. The Church underwent a search for a new rector for the better part of the last year, officially welcoming Back and his family to their church in mid-March. Highly recommended by heads of theological seminaries, bishops, and rectors throughout the country, Back is known to be a deeply spiritual priest and strong leader who connects with people of all ages. He served the last seven years as rector at The Church of the Heavenly Rest in Abilene, Texas and as president of the Consortium of Endowed Episcopal Parishes, having been elected to this role twice by his peers. 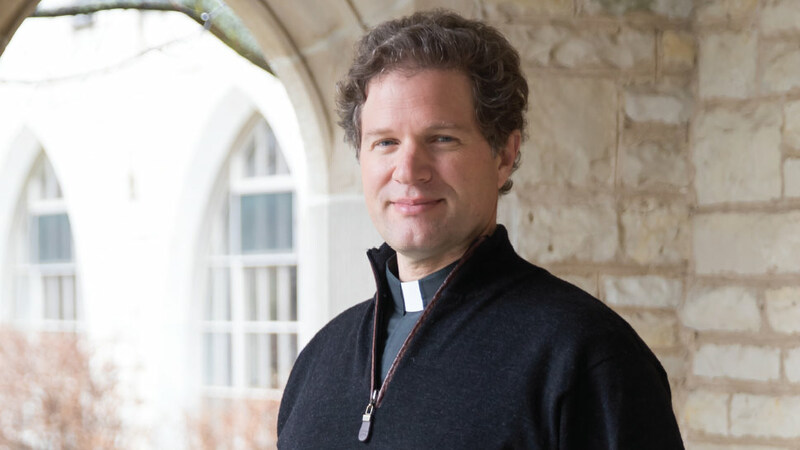 His work with the consortium, which consists of the 300 largest endowed Episcopal churches and affiliate institutions in the country, will help The Church of the Holy Spirit connect more broadly with the national Episcopal Church. The Spring Dinner will begin with mass, then be followed by cocktails, dinner, and a live and silent auction. The hosts have curated a collection of memorable experiences as auction items—including dinner with the Bishop, an evening hosted by Back and his wife, and several sporting and city-theme excursions. Tickets to the Spring Dinner are $45 each and can be purchased at bit.ly/2Gm213d. To learn more about The Church of the Holy Spirit, visit chslf.org.